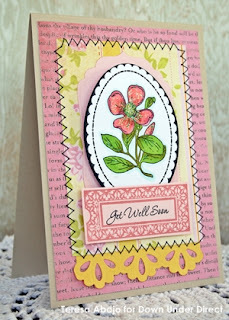 Today we have a bright cheerful get well card to share with you.
" I love to add a touch of yellow to get well cards - it's such a bright,cheery colour." 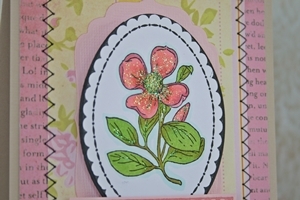 JB09710 Beautiful Blossoms Borders & Centers Oval 2 -1/4" x 3-1/16"